Daughter of a Chinese Ambassador, educated lawyer and honorary colonel in the 1920s Chinese army. What happened to her after 1945? Born in Madrid, Spain in 1902. 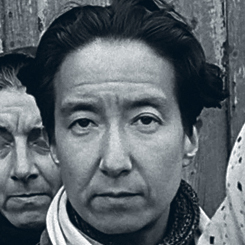 Nadine Hwang was the daughter of a Chinese diplomate father and a Belgian mother. She grew up in the upper class of both China and Spain. She trained to be a lawyer and was stationed as an honorary colonel in the Chinese army in 1920, during the Civil War. When Nadine was 35 years old, she moved to Paris and became the mistress of the well-known author Natalie Clifford Barney. Their circle included intellects and artists of the 1930’s Salon society such as Pablo Picasso, Federico Garcia Lorca and Jean Cocteau. 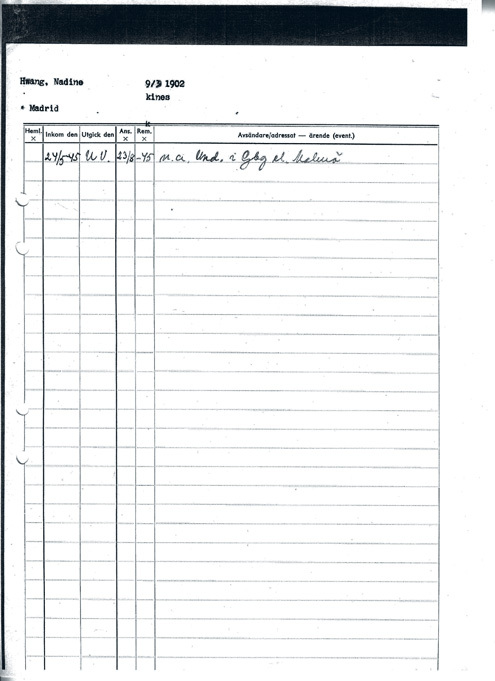 For unknown reasons Nadine was deported to the concentration camp Ravensbrück in 1944. There she became a friend of Rachel Krausz and her 9-year-old daughter Irene. Nadine helped them to get on the White Bus-transport to Sweden. 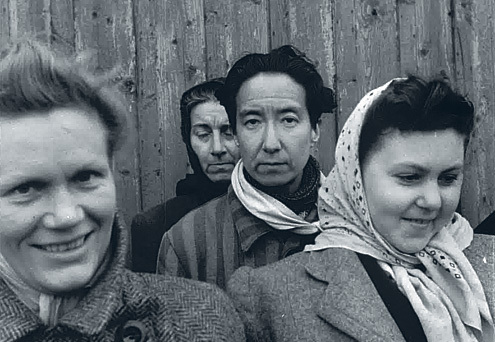 Nadine arrived in Malmö on April 28, 1945, together with Rachel and Irene. They stayed at the Malmöhus museum, which was used as quarantine for refugees at the time. Many years later when Irene had her own daughter she named her after Nadine. Nadine’s face is one of the most recognisable in the films ‘Every Face Has a Name’ and ‘Harbour of Hope’, Many people have been wondering who this mysterious woman was and what happened to her after the arrival in Malmö. After her release from Ravensbrück, Nadine passed through Scandinavia to Brussels. There she met a relative on her mother’s side of the family who had a daughter; Claire Mousset, who had participated in the resistance under the name Nelly Voss. The two lived together in Brussels but the horrors of the Second World, of which they were both victims along with the outbreak of war in Vietnam drove them to search for a new destination. Miss Mousset worked at the Embassy of Venezuela in Brussels and due to the country’s favourable status as a nation at peace they thought it would be a suitable destination. Jose Rafael recalls other stories from the war that Nadine had confided in him. 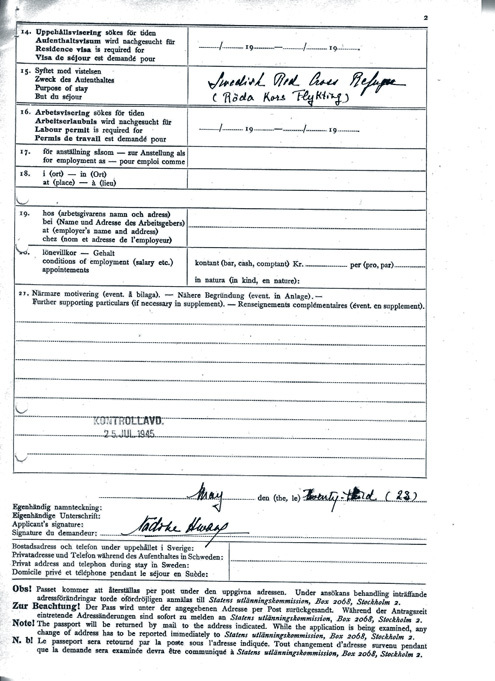 She had always been interested in the military and had even learned to fly aeroplanes. During her time in Paris she had socialised with many prominent figures including Gertrude Stein and T.S. Eliot. At the Ravensbrück concentration camp she had been hospitalised and during that time overheard many delicate issues discussed between the army officers and Nazi Gestapo. She also recounted having met the young Mao whom her father had helped with an economic matter. Early signs of baldness were a great concern for Nadine and forced her into wearing a wig. She was prescribed a strong medication and suffered a stroke before completing the treatment. This diminished her capabilities considerably and forced her and Claire to return to Brussels. Jose Rafael and his wife visited them there one last time before Nadine died shortly after. 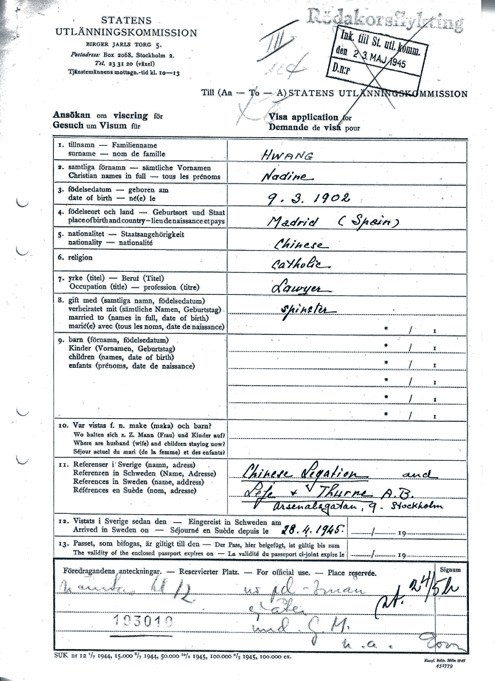 The reasons behind Nadine’s capture and her detainment at the concentration camp remain unclear but the discovery of a lost shoebox by Alexandra, containing photographs and letters, including correspondence with a Gestapo officer, have shed new light on the case. Rumours suggest that Nadine may have been working as a spy, but there is no concrete proof. If you can help us with further information about Nadine Hwang we will be very happy to hear from you. Please write an email to our researcher Sebastian. 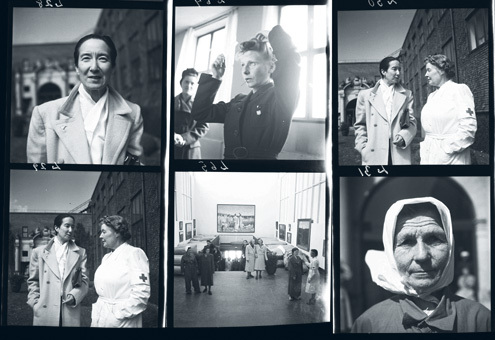 Nadine Hwang in quarantine at Malmö museum in May, 1945. 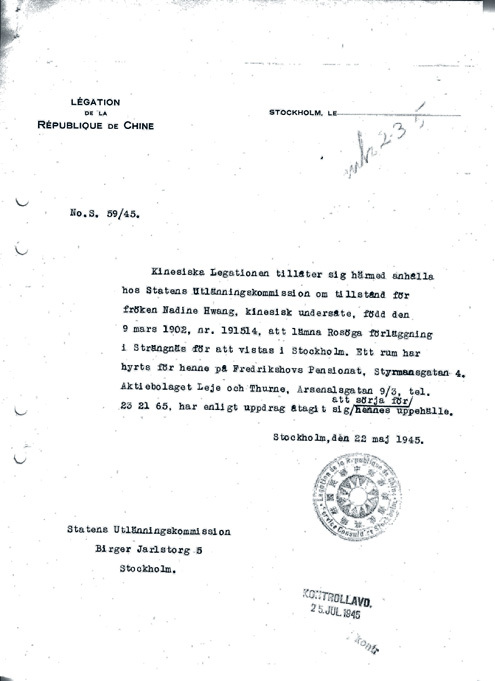 The Chinese legation requesting permission from Swedish authorities for Nadine Hwang to move to Stockholm in July 1945. 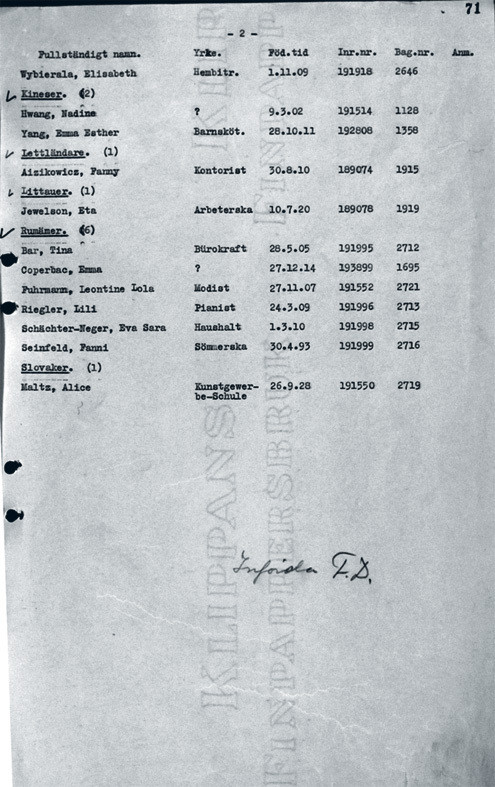 Passenger list from the ferry to Malmö. 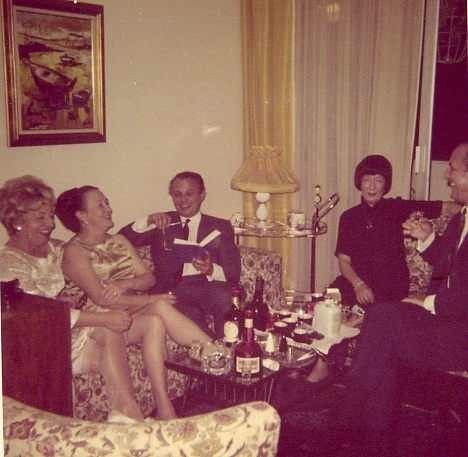 Nadine pictured with her lover, Claire Mousset (second in from left) and other friends at a New Year’s party in their apartment in Caracas, Venezuela circa 1965.